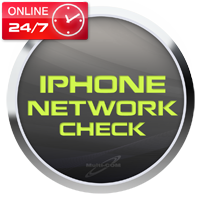 iPhone Network Check (iPic) it's special service based on client/server application that works in real time and deliver all information about your Iphone as Model, Serial number, Apple care Protectio time, country to which was sold and most important for many users - carrier/network which it's locked too. This information give you oportunity to use any IMEI based unlock as well as to programm correctly Iphone activation card for proper netwoork. 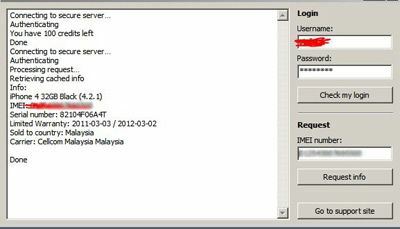 You use service by just entering IMEI and in few seconds all detail will shows. NO SHIPING COST APPLY - THIS SERVICE ARE MAKED OVER E-MAIL. Each request need Internet connection. Software works on credit rules - 1 phone take 1 credit from account. We offer 10, 20, 50 and 100 credits accounts. Please make sure that before you request information by software connect your Iphone with any SIM card to iTunes !